Aerosmith "You Gotta Move (Amaray Case)" DVD very soon. 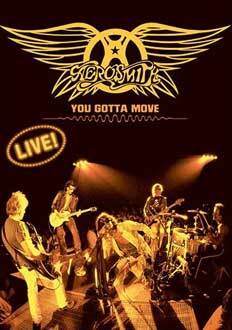 The band Aerosmith will release the following DVD on Nov. 23 (Sony Music): Aerosmith "You Gotta Move Live (Amaray Case)". The complete track listing for the DVD version of AEROSMITH's recent A&E concert special, "You Gotta Move", will be released Nov. 23 via Columbia. It will feature 5 songs that did not appear on the original broadcast. The 162-minute package has a bonus audio CD with 6 tracks from the program, including "Livin' on the Edge", "Last Child" and "Same Old Song and Dance". "You Gotta Move" will be screened on the day of release at select Regal Cinemas in the United States. For state-by-state theater information, visit Regal's official web site. Aerosmith frontman Steven Tyler can be heard on the new track "Rockin' on Top of the World" on "The Polar Express" soundtrack, due Nov. 2 via Reprise Records. Aerosmith "You Gotta Move Live (Amaray Case)" live DVD: ORDER IT NOW. Stephen Stills (from Crosby, Stills & Nash), 59 years old, became again papa this past week in Beverly Hills, California. The mother is Kristen, 38 years old. The new baby is a boy, born monday before 4 p.m. in Los Angeles: Oliver Ragland Stills, weighing 8 pounds 2 ounces. Oliver Ragland, was named in honor of Stills' frequent bandmate Neil Young (news), born Neil Percival Kenneth Ragland Young. Stephen Stills has already several children. The best known are Chris Stills and Jennifer Stills. Chris Stills's mother is french singer-songwriter-pianist Veronique Sanson. Jennifer Stills is an artist too. She is a singer-songwriter. See her website there. Stephen Stills' consummate, innovative musicianship has established him as an eminent solo performer and as the cornerstone of the supergroup Crosby, Stills & Nash. For four decades, Stephen Stills' music has spanned generations and cultural borders, entertaining millions of listeners throughout the world. His unique guitar style and phrasing has garnered Stills a well deserved spot among the best players in the world. Born in Dallas, Texas, Stephen Stills was reared in Illinois, Louisiana, Florida and Central America. Inspired by the first music heard in church, Stills began taking piano lessons as a youngster, later developing an interest in drums and guitar. High school was completed in the Republic of Panama and Costa Rica, where Stephen Stills' musical roots were heavily influenced by Latin music. Crosby Stills & Nash "Crosby Stills & Nash The DVDs" 3 DVD-set: ORDER IT NOW. For all of you who missed the live broadcast of the Vote For Change Finale concert on October 11th, you will have another opportunity to see the incredible documentary/concert film, "National Anthem: Inside The Vote For Change Tour" on the Sundance Channel THIS Saturday, Oct 30th at 6:30pm Eastern time. Featuring performances by: Bonnie Raitt, Bruce Springsteen, Dave Matthews Band, Dixie Chicks, Jackson Browne, James Taylor, John Fogerty, John Mellencamp, Jurassic 5, Keb' Mo', Kenny "Babyface" Edmonds, Pearl Jam and R.E.M. Tuesday, November 2nd is Election Day as you all know. Please get out there and vote to make your voices heard. Rain or shine, please get to the polls and cast your ballot. Don't forget to bring your ID! Every vote counts!" Bonnie Raitt "Road Tested" DVD: ORDER IT NOW. Keb' Mo' "Peace... Back By Popular Demand" new album is out. "My Intention for this record is to be meaningful and relevant to what I am feeling in our own time," says Keb' Mo'. "It started out as a collection of protest songs, but it evolved into an album about peace and freedom." The Grammy-winning singer, songwriter and guitarist is talking about his new album "Peace...Back by Popular Demand" released September 21, 2004 on OKeh/Epic Records. His seven previous albums have made Keb' Mo' one of the most popular writer/performers on the contemporary blues scene. But with this new collection, the artist formerly known as Kevin Moore takes a new creative turn: He interprets nine classic songs of social conscience from the Sixties and Seventies, and adds one stirring new composition of his own. As one who came of age in the American Sixties, Keb' Mo' lived through the tumultuous and tragic events of that period. His life and consciousness were shaped by the British Invasion and the soul music explosion; by the assassinations of John and Robert Kennedy, of Malcolm X and Martin Luther King Jr.; by the military draft and the peace movement. In interpreting some of the popular songs that stirred the nation and the world in the years 1964-1976, "Peace... Back by Popular Demand" speaks to the challenges and opportunities we face today. It is a conceptually unified work designed to raise awareness among listeners of all backgrounds. "I believe that people on both the Left and the Right have more in common than we have differences," says Keb' Mo'. "We have way more reasons to come together than we have to split apart&I think people the world over want pretty much the same things." All tracks are produced by Keb' Mo' and were recorded in just one month in Los Angeles. The artist plays electric and acoustic guitars, dobro, and mandolin; keyboards player Jeff Paris and bassist Reggie McBride are both mainstays of the Keb' Mo' touring band. Also on board are such veteran session players as Paulinho Da Costa (percussion), Paul Jackson Jr. (electric guitar), Harvey Mason (drums), and Greg Phillinganes (organ). Here is an album intended to inspire its listeners to reconnect with their common humanity-and to take action from that place. In a world wracked by tension and violence, "Peace...Back by Popular Demand" offers a positive message of hope to all. "If my music can cast even a shadow of peace and understanding on humanity," says Keb' Mo', "well...that will be pretty cool!". 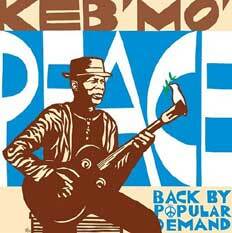 Keb' Mo' "Peace... Back By Popular Demand" CD: ORDER IT NOW. "MTV Unplugged - Bruce Springsteen in Concert" DVD. 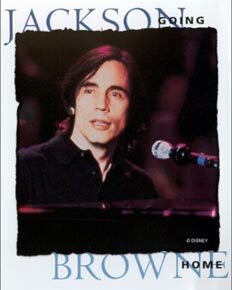 This concert on DVD features sixteen performances that were originally broadcast on MTV Unplugged on November 11, 1992, plus three bonus tracks: "Living Proof", "If I Should Fall Behind" and "Roll Of The Dice." "Roll of the Dice" was not included on the VHS release. It contains the first appearance in any format of "Red Headed Woman" and Springsteen's first recorded performance of "Light Of Day." 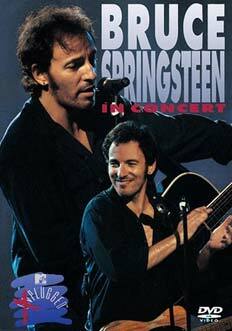 "MTV Unplugged - Bruce Springsteen in Concert" DVD will be released on Nov. 9 on Sony Music. "MTV Unplugged - Bruce Springsteen in Concert" DVD: ORDER IT NOW. Rita Coolidge Tour. Legendary Rita Coolidge is now on tour in The States. 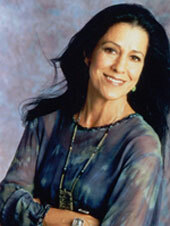 Grammy award-winner Rita Coolidge has captivated audiences around the world with her pure, sweet and powerful voice. She has been both collaborator and inspiration to such legends as Eric Clapton, Stephen Stills and Kris Kristofferson during a career that continues after three decades. Now she returns to her roots – she first sang with the choir in her father's Nashville church when she was two years old – for two nights of hits like "Higher and Higher," "Fever," "We're All Alone" and "The Way You Do the Things You Do." In an evening of déjà vu and reminiscing, Rita Coolidge will beguile you all over again. "She performs with symphony in pops concert. Rita Coolidge will be doing things the way she does them when she appears as guest artist this coming weekend in a Nashville Symphony pops concert pair." Rita Coolidge "Delta Lady: The Anthology" CD: ORDER IT NOW. 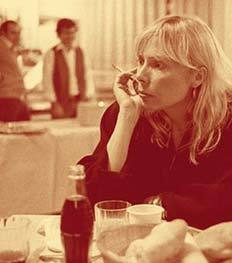 Joni Mitchell (famous Canadian singer-singwriter) was made a companion of the Order of Canada this past Saturday. Joining her in receiving the nation's highest civilian honour was Martin L. Friedland, a retired University of Toronto law professor, who received a promotion within the order. "From Yorkville coffeehouses to international stages and on to gold albums, Junos, Grammys and Hall of Fame inductions, she has engaged and inspired audiences and musicians for some 40 years," said a statement about Joni Mitchell released by Governor General Adrienne Clarkson's office. Seventeen people were named officers of the Order of Canada including Daniel Berthier from the famous Cirque du Soleil. Joni Mitchell and other persons were invested at Rideau Hall, the Governor General's official residence in Ottawa. The Order of Canada recognizes people who have made a difference to Canada. From local citizens to national and international personalities, all Canadians are eligible for the Order of Canada -- the country's highest honour for lifetime achievement. Three different levels of membership honour people whose accomplishments vary in degree and scope: Member, Officer and Companion. Since 1967, more than 4,000 people have received the Order of Canada. In the artistry field, Bryan Adams, Leonard Cohen, Celine Dion, Anne Murray are Order of Canada members. Joni Mitchell "Refuge of the Roads" new DVD: ORDER IT NOW. John Hall (singer, songwriter, guitarist from Orleans) takes on Bush and wins about the song "Still The One"
John Hall (singer, songwriter, guitarist from Orleans) takes on Bush and wins about the song "Still The One". President Bush's campaign spokeswoman Nicolle Devenish has confirmed that a song used at campaign rallies has been withdrawn. The song "Still the One" John Hall and Johanna Hall) was part of a package of songs used for events by the Bush campaign office the songwriters had not agreed to the use. "We want the public - especially our fans and longtime friends - to know that we were not asked about and did not approve the use of - 'Still The One' as a campaign theme song for President George W. Bush. We, the writers and performers of the song all plan to vote For John Kerry." "The "Still The One" controversy has been resolved. The George W. Bush campaign agreed to stop using the song and we consider the matter closed. Please vote for the candidate of your choice, and after tuesday, unite behind the winner." Alex Ligertwood (Santana band) has joined the World Classic Rockers in early October. The World Classic Rockers have a new member of WCR: Alex Ligertwood, the former lead singer of Santana for 16 years. 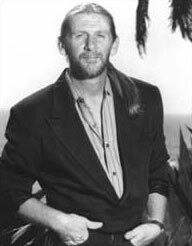 As the voice of Santana, Alex Ligertwood recorded hit songs such as "Winning" and "Hold On." During his first gig with World Classic Rockers in Maui he provided electrifying performances of Santana classics "Black Magic Woman" "Oye Como Va" and "Evil Ways". - and now Alex Ligertwood. Also, Randy Meisner has full recovery. You can see him at this page (pics from the Maui 10/06/04 concert). David Garfield "Giving Back" album features some tracks with Alex Ligertwood on lead vocals: ORDER IT NOW.